Coghlans Emergency Signal Horn | BUDK.com - Knives & Swords At The Lowest Prices! 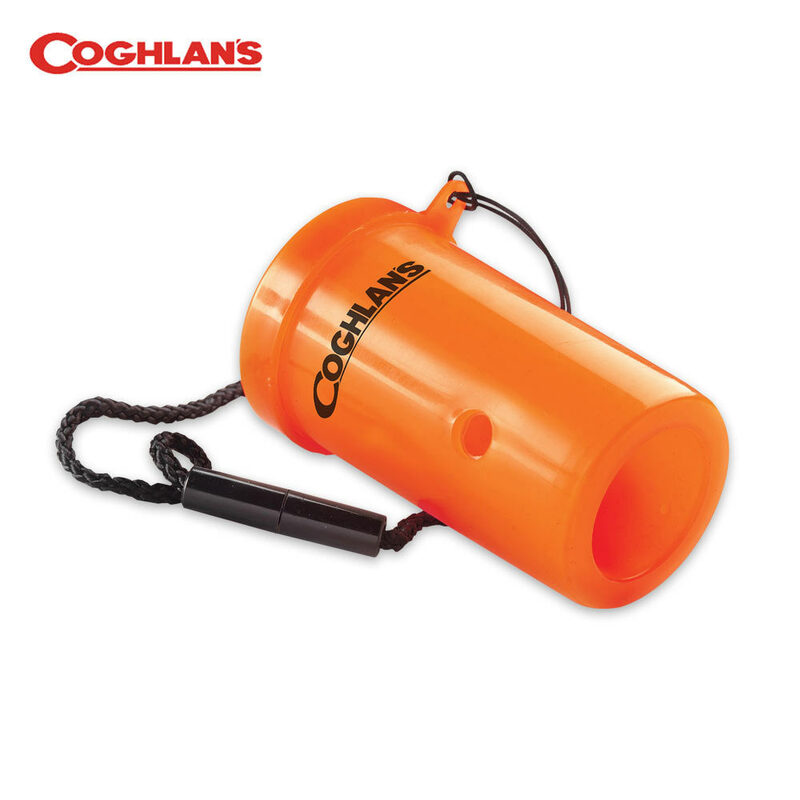 This emergency signal horn can be heard over a mile away! At 120dB it will frighten off unfriendly animals. 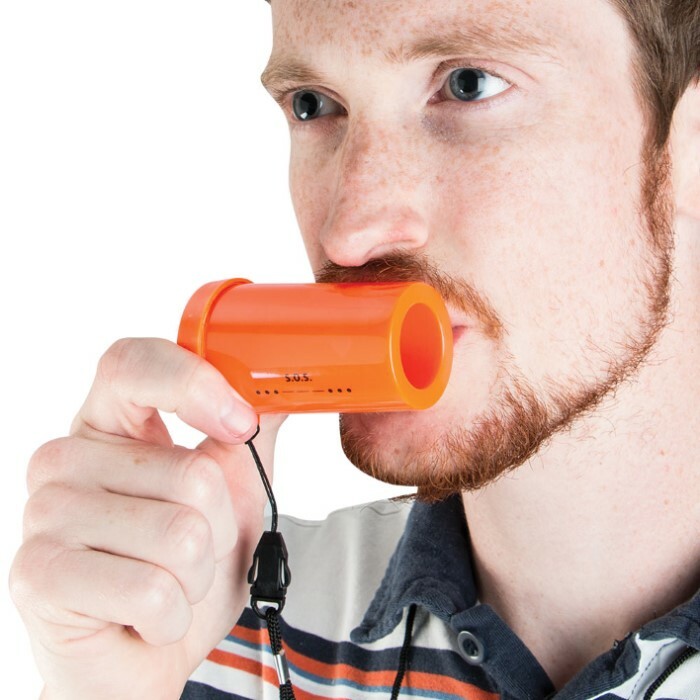 It operates with the simplicity of a mouth horn, no batteries or compressed air. The membrane can be easily replaced with any thin flexible film. Comes with SOS printed on the body and a black break-away lanyard. An excellent signal horn, and the ability to replace the membrance is a big plus. Loud is not enough of a description - it thunders. awesome signal horn works easy very loud ! has many uses would recommend to anyone.